Cynicism affects your income. Studies show people with cynical views about human nature earn less money. You can’t be a cynic and love humanity. If you are a cynic, you do not love humanity. You have an absence of love in your life. You have an absence of empathy. You’re looking for what’s wrong. A negative attitude towards others will never bring success. I’ve been in many groups in different times of my life where there were circles of cynics. Years later, I’ve gone back to check, and these people are in no better place. 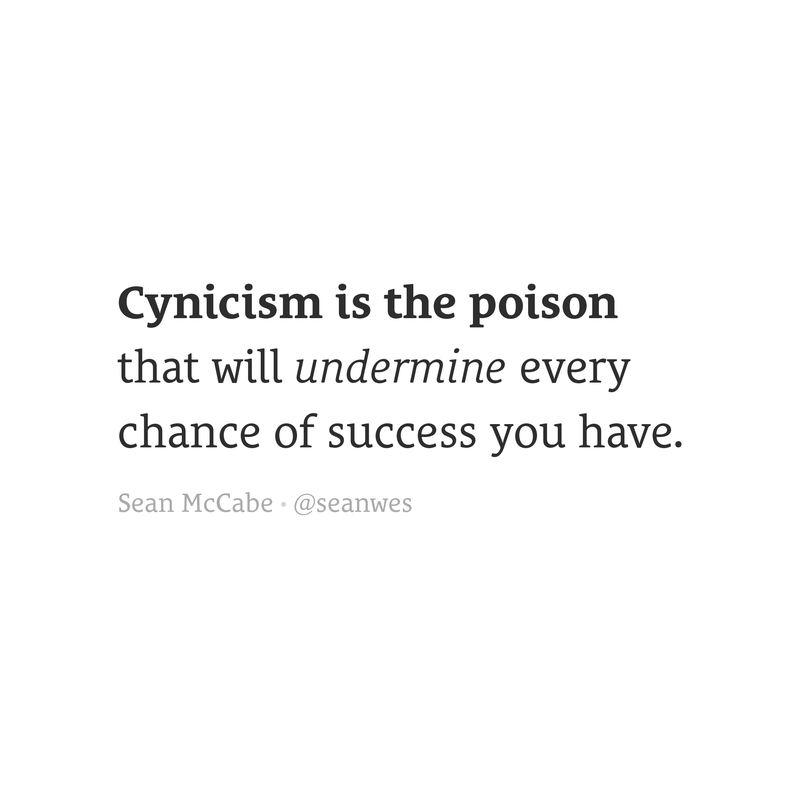 You will not succeed as a cynic.